Set out on a peninsula of land in the Moray Firth is the curious town of Burghead: a town which is a world away from much of Mainland Scotland. 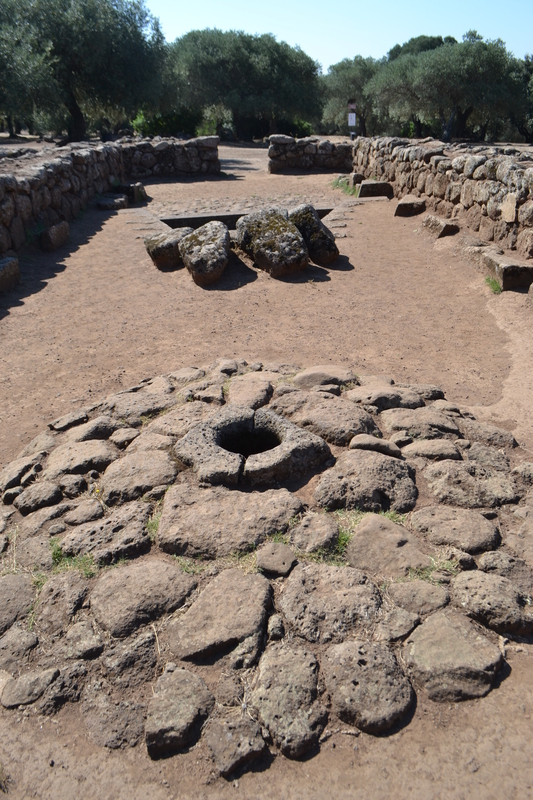 A town which despite it’s rather drab exterior and uniform nature is one which has many mysteries – it’s unique Clavie Burning, the largest surviving Pictish fort and the Well…all three unique in the Scotland and indeed the world and of course not necessarily unconnected. I arrived on a windswept January, the day of the burning of the Clavie, an ancient evocative tradition which may have itself have an indirect link to the well. Drawing the key, I approached the well which is enclosed in a high wall strangely juxtaposition within the urban landscape. The first thing which strikes one is the primeval and ominous nature of the site – an opening cut into the hillside, dark and foreboding. Twenty rough and worn rock cut steps lead down to this chamber itself cut within the rocky crag of the peninsula. As one approaches the chamber its size, five metres by five metres and four metres high, its gloomy nature evidence – your voice becoming more and more echoed as you descend into the darkness. 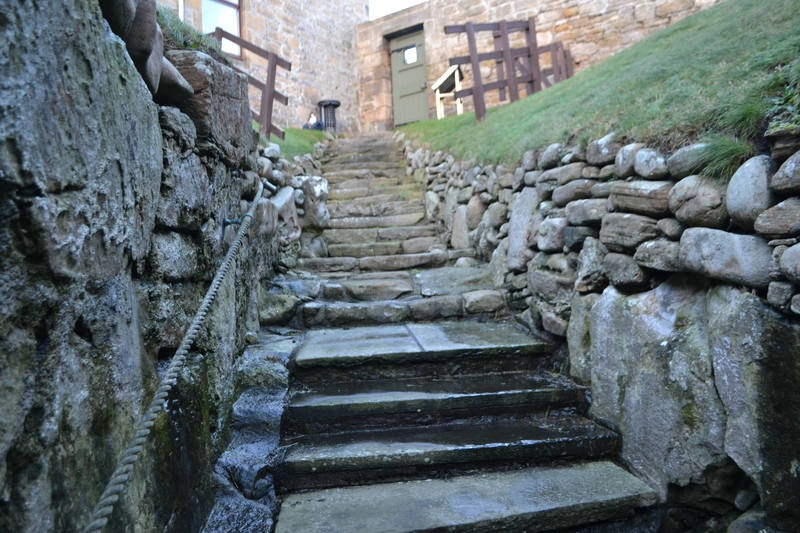 These ‘improvements’ involved as well recutting the steps and using gunpowder to deepen the pool. 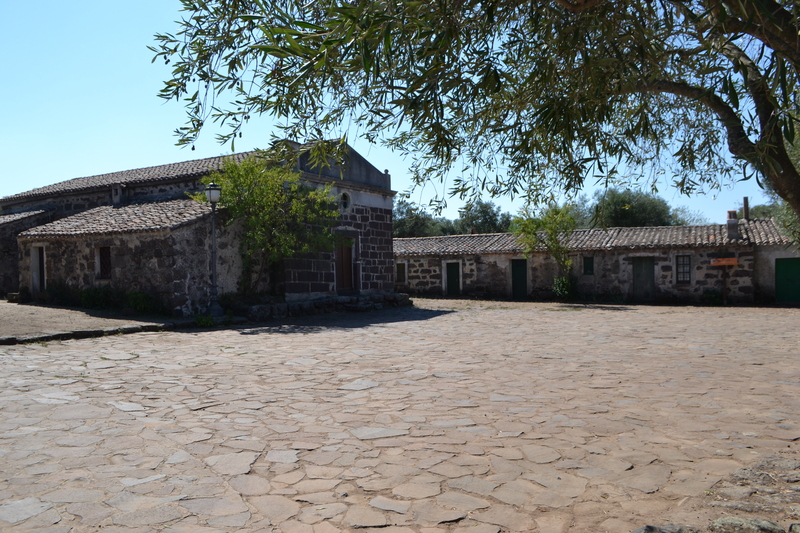 These changes probably removed some other features which are no longer visible such as the mosaic pavement around the well and paintings on the wall. This is a considerable shame for these features seen according to Grant (1898) in 1809 would have possibly allowed us to gauge the origin of the chamber. 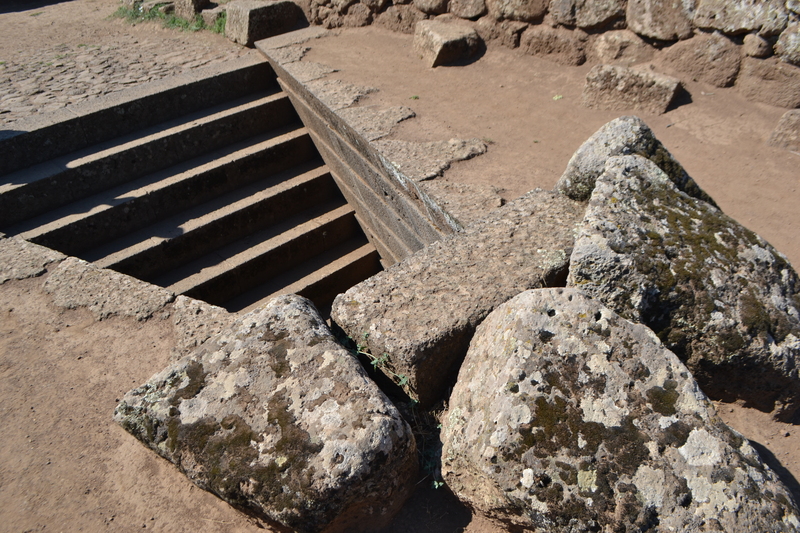 Mosaics and paintings suggest of course a Roman origin and the discovery of them may have lead to the view that the site was Roman, gaining it the name Roman Well. This is a view espoused by Young () who compares it with other similar sites. However, his argument is not particularly persuasive. 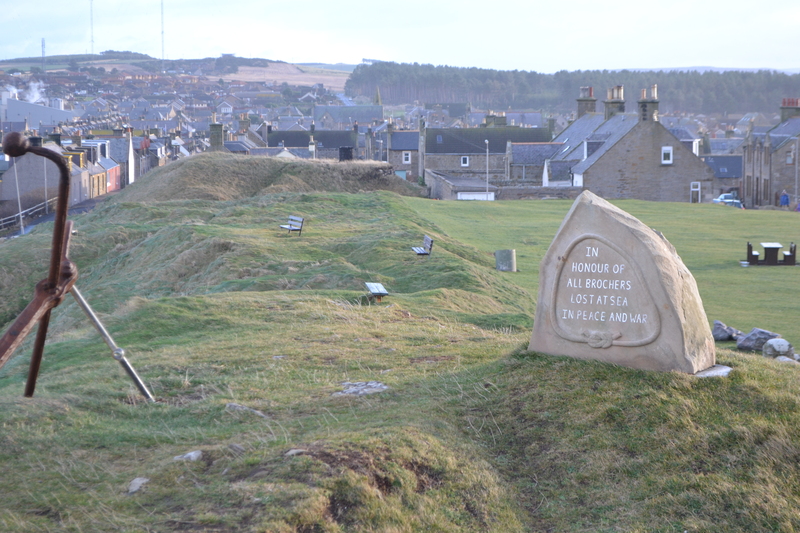 Burghead is a unique place. At the very end of its peninsula are the remains of a vitrified Pictish fort, which dates from the 4th to 6th Century. There is no argument that the well has some link to the Pictish settlement, the discovery of a bull carved onto a slab, a common Pictish motif was found in the well. 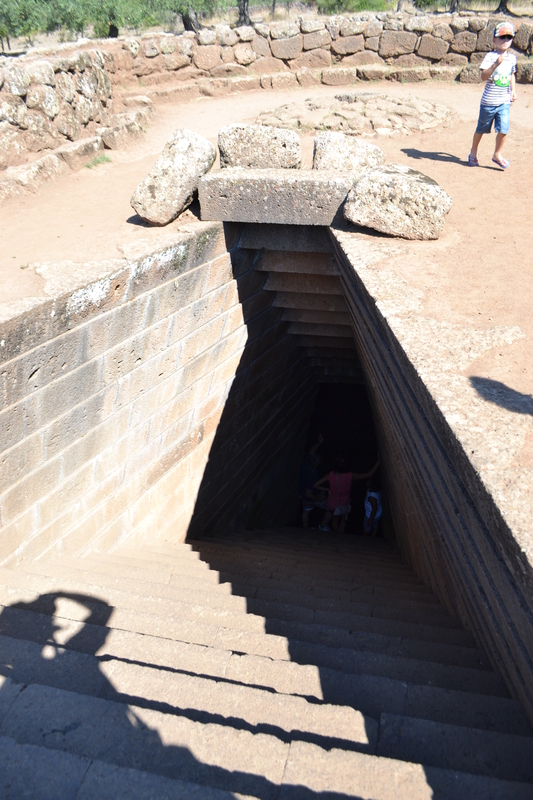 The position of the well on the edge of the ramparts is problematic. It suggests a later origin for why would it not be enclosed safely. However, others argue a more ritual origin. One find, a stone head was found in the well. 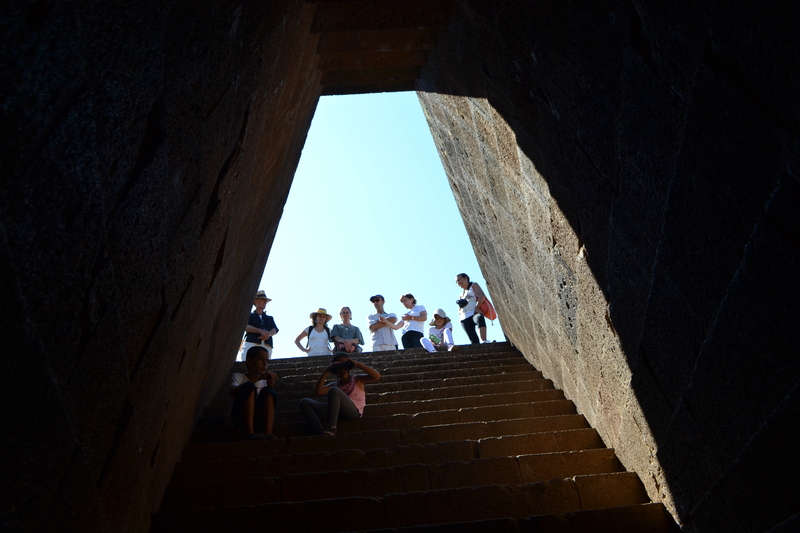 Readers of the blog will know that there is considerable debate over wells and heads. 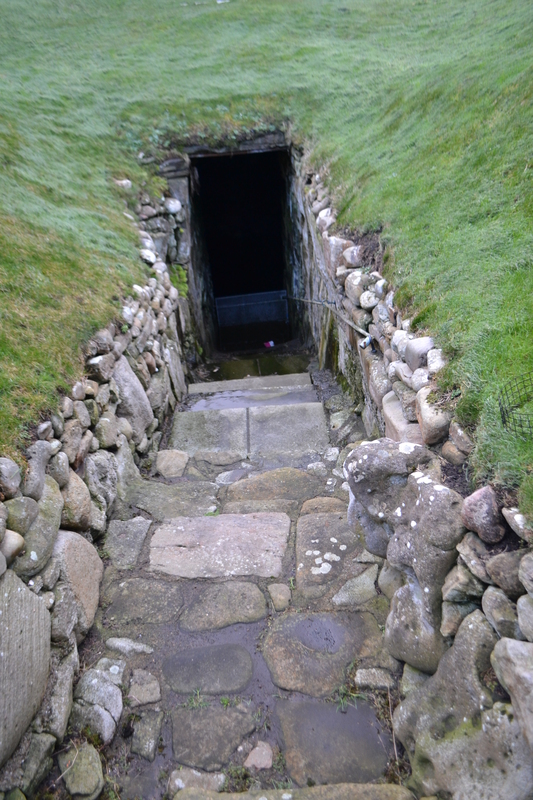 A number of ancient wells have been associated with skulls or beheading legends, particularly in the Celtic world and indeed an argument has been made of the existence of a head cult into recent times. 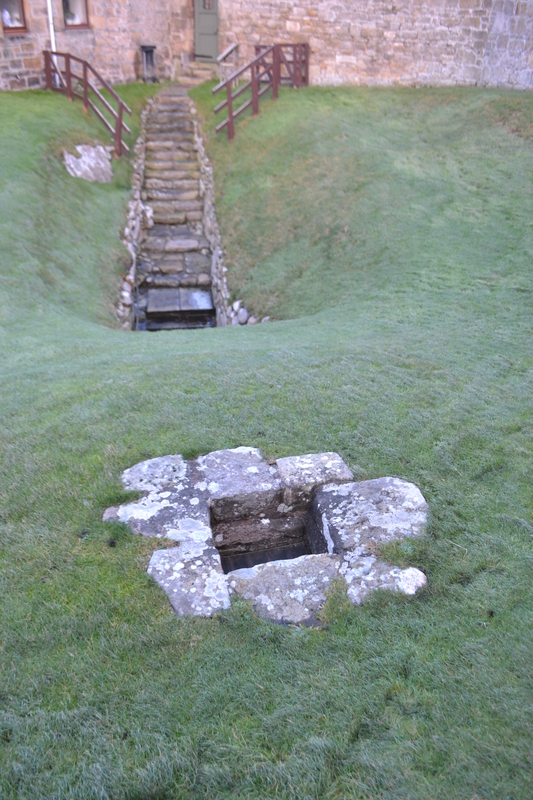 Another ritual aspect, possibly unique in Britain to the Picts, was the ritual drowning. Historical sources state that Talorgen, son of the King of Atholl was drowned in 739 AD and it is possible that this site was a chamber used such. However, no human remains were found in the excavation to support this view. This stone now lost suggests an early Christian cross, the knot work potentially Pictish in origin. A good example being the 9th century Drosten Stone discovered at St Vigeans near Arbroath. 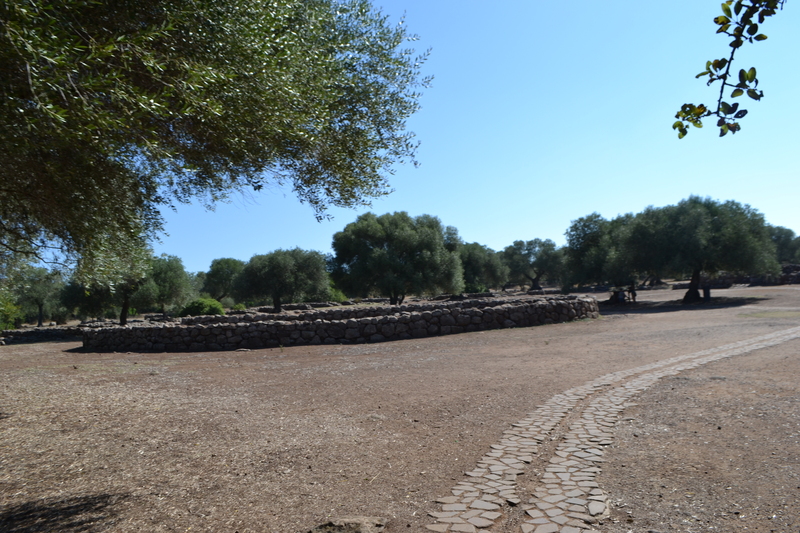 The crudeness of the cross suggesting an adoption by Christians which would fit the view of the site as a baptistery. 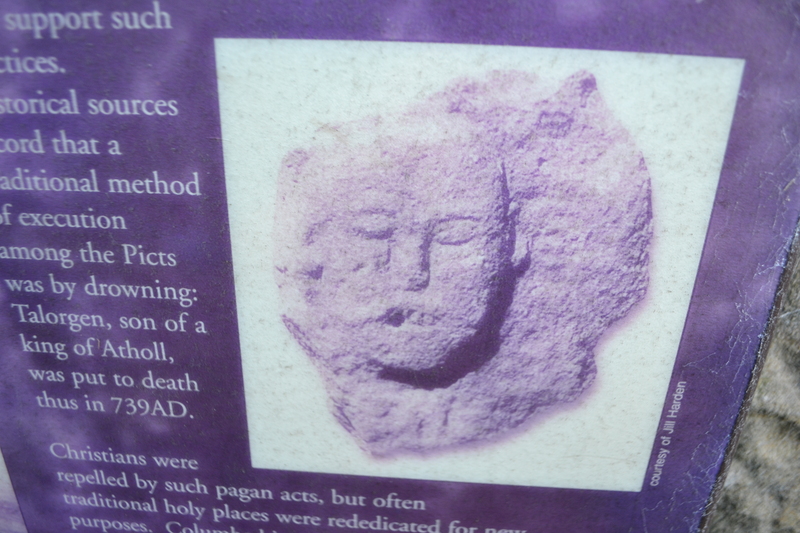 This was probably used in the cult of St Ethan, a local missionary saint of the 7th century. It is possible that these features were from its adoption and are wall paintings of the saint. Little is known of him and I feel his name is too similar to Aethan and so I assume they are the same. 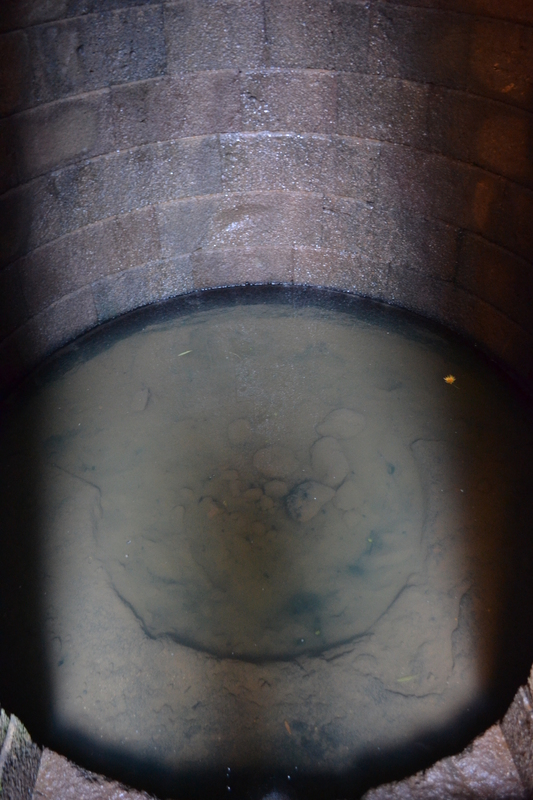 However, this is not the only ancient well in the town. Tucked away on the outskirts, not far from the maltings and once along the old railway which served the town, is St Aethan’s Well. St Aiden of course was associated with the Iona community and is known to have converted the Picts in the 7th Century, he would have certainly visited Burghead. Why should a well named after an important evangelical saint here? Its location does not seem to be near any landing nor does it appear to have been associated with any chapel or church. Indeed the position of the church is a possible clue. How old is this well one wonders. It certainly is not as old as the Pictish well and I theorise it was probably established as a focus of faith once the former fell from favour and was possibly lost. The support for this argument is the position of St Aethan’s Chapel which is a mere few yards from the Pictish Well. Surely this is more likely to be the said holy well and not this fairly simple spring. If it had been used ritually by them he would have sought to Christianise this not ignore it. Therefore it also seems probably that the Pictish well was probably lost whether physically (noting it was discovered in 1809) or spiritually, and thus requiring a re-focus but why a spring so far out? Perhaps the geology may explain this. Of course when it was lost is unclear. Evidence would have come from one find Spanish coins but these were lost. The presence of such coins is interesting – it suggests again ritual use, well wishing in its most familiar guise perhaps, but when? One would suggest from the period of the Anglo-Spanish conflict when it is plausible that some secretive links with Spain may have been established. This would also suggest that the association was also Catholic in nature and indicates the well was probably overtly Christianised. This might highlight when the well disappeared and a new St Aethan’s Well appeared created by Catholics in the dying days of a Catholic nature as the Reformation begun to sweep away such practices. However, this is all conjecture. 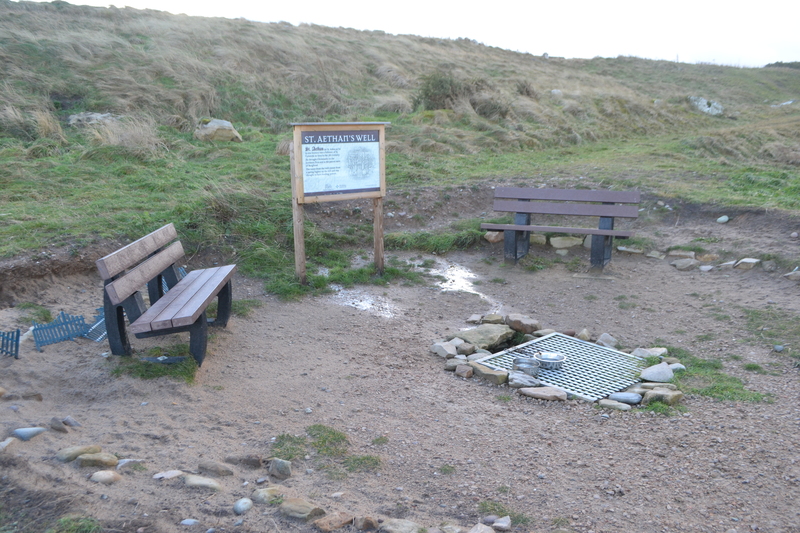 Chairs have been provided and two metal tankards and dog bowls provided suggesting the water is potable. 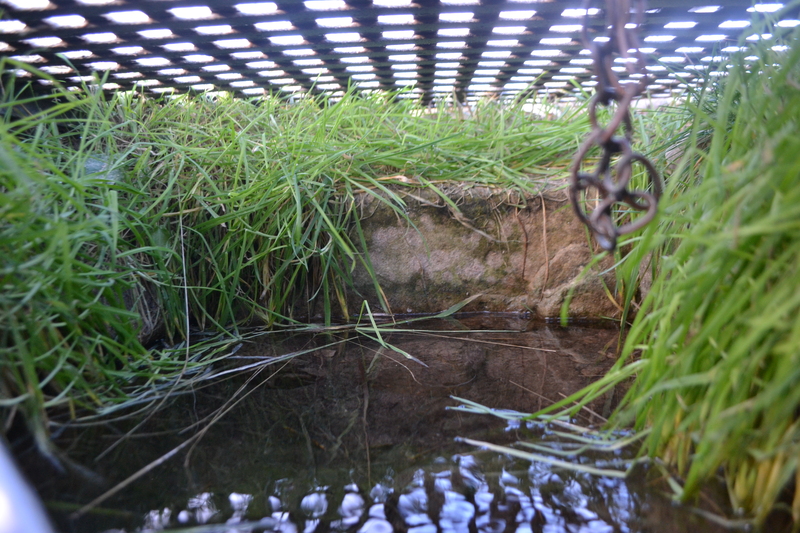 The water flows through a metal pipe into a shallow stone lined chamber set beneath the sand. The original source is probably that closer to the cliff face which arises in a similar chamber. Both are covered in a metal grille which is a little unsightly, but stops the stray foot getting wet! Perhaps Christianity was slow to make an impact on the Burghead community and forced to exist on its outskirts..attending the day of its great clavie burning it is easy to see how pagan forces could have resisted the force of Christianity. 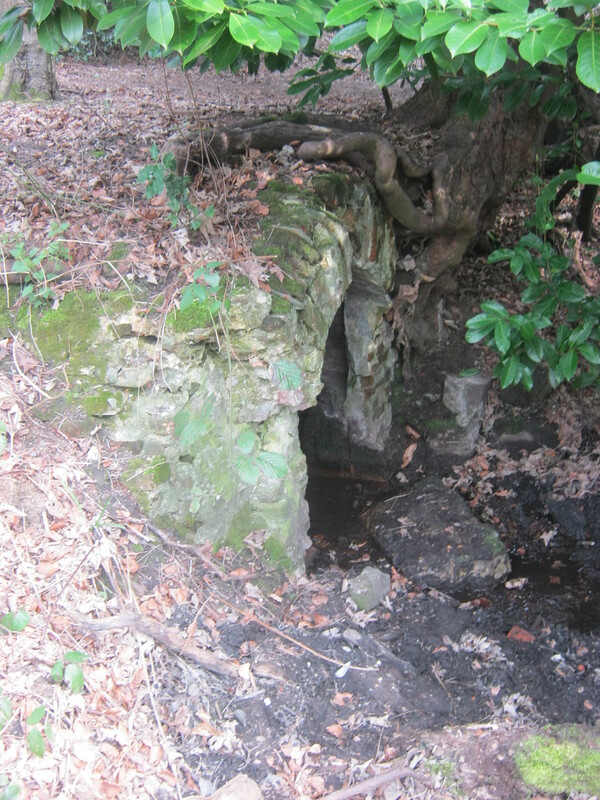 Is Queen Anne’s Well Bedfords Park a lost holy well? Sadly, when producing a book on a topic which has never been produced before, you can miss something. Queen Anne’s Well is one site I missed. I knew nothing about it, but a brief mention as it happens by the Friends of Bedfords Park. Asking at the visitor centre the name was well known and I was given clear instructions. Expecting to find some boggy hole, the site as can be seen is far more impressive and certainly fabric wise one of the county’s best ancient wells. 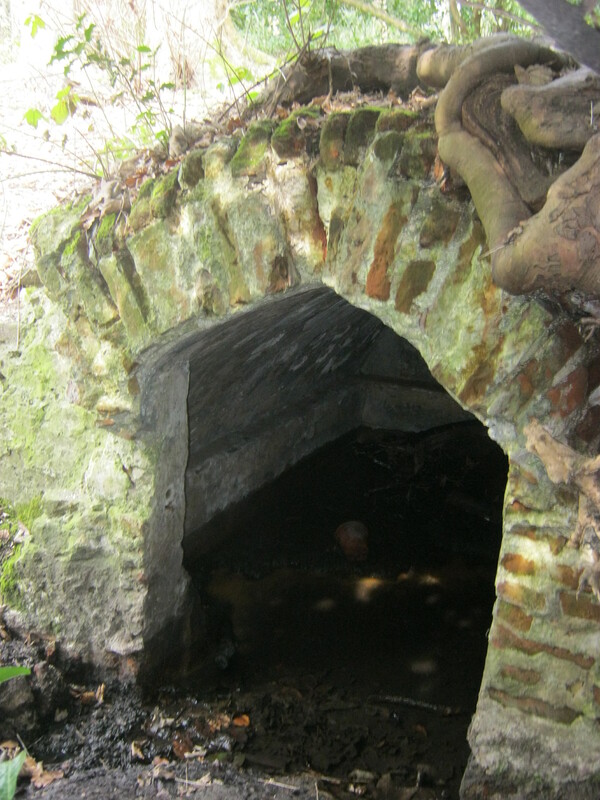 The well consists of a brick and sandstone arch well house set into a bank. 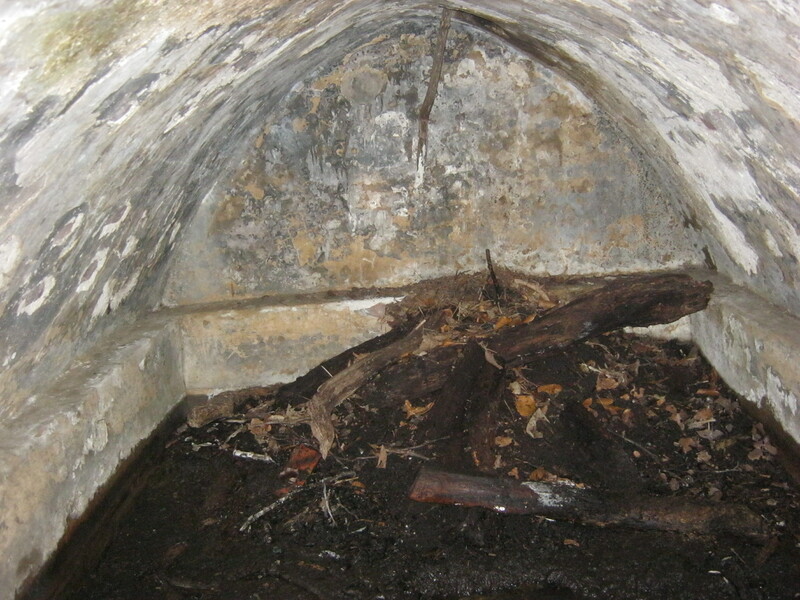 Inside the well house is plastered brickwork and sits up a small platform. The water arises in a roughly rectangular aperture and flows to fill Nursery pond below. A gnarled tree grows over the well holding some of it together, although the quoin stone is missing, which may have given some clue to its origin. The structure is quite substantial and well built. Water from the spring fills lower Nursery pond. 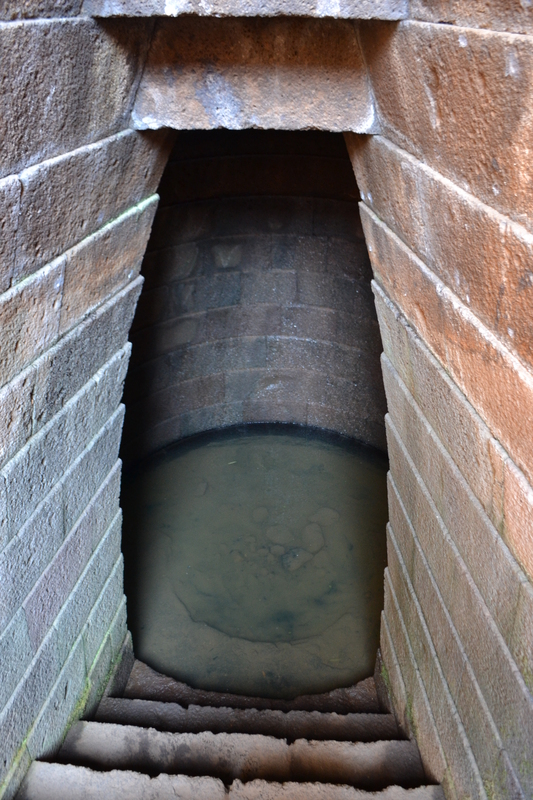 There is also a nearby brick lined reservoir, not necessarily linked, which was the mansion’s domestic source being pumped by a pumping engine. Holy well or Victorian Folly? The spring may be the reason for the original settlement as Bedfords Park providing a valueable source of water. According to Mrs Lois Amos of the Friends of Bedfords Park it was known way back in the 16th century and onwards as ‘Belfonts’. This is an interesting thought if it derives from OFr belle meaning ‘good’ or ‘reliable’; and indeed there are small number of healing and/or holy wells called bonny well which has a similar derivation. However this is at odds with the view that it was named after a John Bedford who held the land in 1362 and built the first manor. It would be apparent that etymological issues have happened here. This notwithstanding this does not explain how old is the well? Is it a mediaeval? Tudor? Or a folly or Victorian piece of gothic? 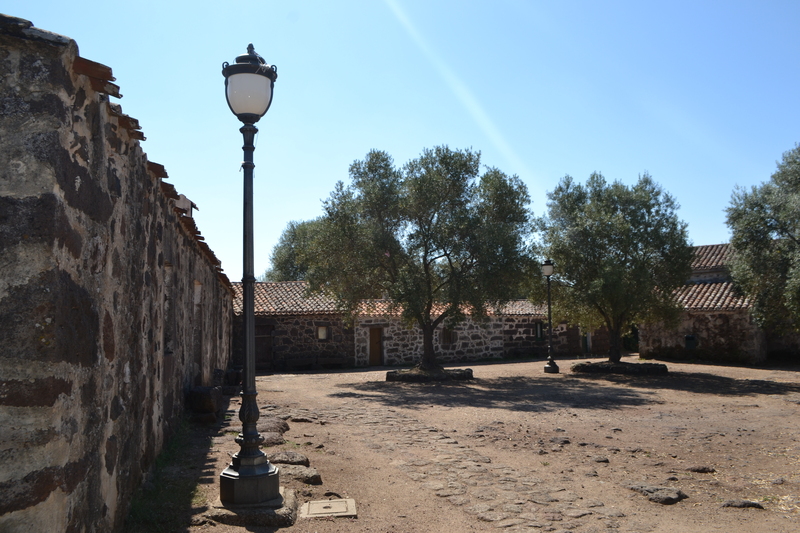 The lack of embellishment or indeed history suggests that it the site is not a result of any landscape improvements in either the 1700s or 1800s. The fabric may give the best evidence. 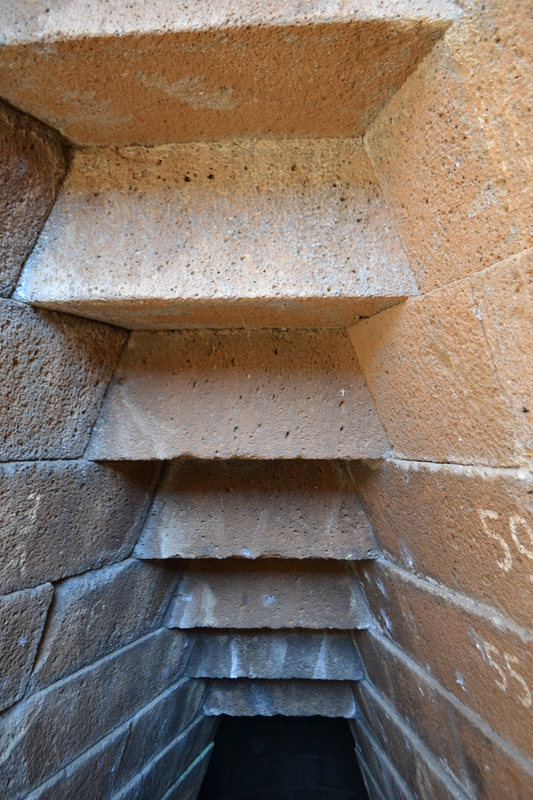 The well is not built wholly of brick, which would suggest a post-1600 construction perhaps, but a high quality green sandstone. This is noted by Nigel Oxley, the Boroughs buildings Conservation Officer that such a high quality material used in a number of local churches, emphasising its importance. It is similar to that of Charlotte’s Well in Stratford which suggests a Tudor origin. Maps can be an excellent source and being enclosed within an estate one would expect some reference to it. However, it does not appear until an 1896 Ordnance Survey map which even then shows it simply as ‘Spring’. The absence of the site from maps is no indication of a lack of age, but it is curious. Simon Donoghue, Havering’s Local History Librarian, produced an excellent guide to the estate and no mention is made of the well. Bedfords Park is in the London borough of Havering, nearby being Havering atte Bower, which has been a Royal manor since the 8th century. It would appear that Havering-atte-Bower, a Royal property can be cited as the source for the Queen. However, in the late 1300s, the King’s Sergeant lived in the manor who was in the service of Richard II’s queen – Anne of Bohemia. James. However, it is Henry’s wife Anne of Boleyn is the most likely perhaps. I believe that the significance of the occurrence of wells associated with Anne Boleyn has been missed by researchers. Ann was a convenient figure to apply to wells at a time of flux. The cult of Saint Anne and its association with wells is a relatively recent one, dating from the 15th century. Could it be that at the Reformation, that local community or rather a local landowner, realising that the population would have divided into those following the old ways would focus on re-dedication to this popular Queen. Anne was of course, the mother of Elizabeth, the first Protestant figurehead, who herself had a cult and feast day associated with her. Evidently she has a name which can be conveniently transferred to St. Ann Wells especially as like Ann she was the mother of Elizabeth the founder of English Protestantism. I have noted before how Queen Ann has been associated with springs, however dubious. Sadly, there is no evidence and I write this post hoping someone can help. However, I do believe that the weight of circumstance and likelihood suggests that the well which exists in Bedford’s Park predates its association with Queen Anne and was probably a St. Anne’s Well.